My youngest little guy is 4.5 months old now (almost 5). So it is time to start thinking about a convertible car seat. Although our infant seat goes up to 32 pounds there is no way I'll still carry him in it that long. He's already about 17 pounds and getting quite heavy. So it is time... I know that RECARO is a leading name in safety for child seats (and race car seats!) and I knew that I wanted my son in a very safe seat. I was chosen to review the Performance RIDE which is their convertible seat. Good from 5-40 pounds rear facing and 20-65 pounds forward facing, it's a long lasting seat and just might be the only one you need until booster ages. The seat has a very sleek and modern look to it. It sits straight up for forward facing and reclines for rear facing to keep baby in an optimal position. Recline handle. Just pull it and move the seat into position. The seat has wonderful venting. There is mesh on the inside and holes on the outer shell which prevents child from getting too hot. Perfect for the summer. This built in belt lock off is truly perfect for installing with the seat belt OR with a belt that doesn't lock on it's own (in an older vehicle). The 5 pt harness is very easy to use with clips that are easy on the hands (but still difficult for little hands). Also features stripes on the straps that make it really easy to see if they've been twisted or not. Here is the seat at it's lowest position and highest. The head restraint is padded with real automotive "PUR" foam for added comfort and safety. The side impact protection is designed to distinctly protect 5 vulnerable areas of a child in a side impact collision- their head, neck, pelvis, face and torso. Also Twist resistant HERO technology for the strap pads. The latch is easy to use and it stores away easily an attaches to the seat by just pushing it down. my 2 year old in the seat. My youngest unfortunately isn't a huge fan of the HERO pads and they can't be removed. But I know they're there for his safety and he will get used to them. Overall I really like this seat. It's super safe and I trust RECARO with my children's safety. Adjusting the harness is a bit cumbersome if you're using the seat for 2 different kids, but for one it's not bad at all, you just turn the dial to adjust it. Adjusting the strap tightness is easy too and fast. Installing the car seat was INCREDIBLY easy to do. The latch makes it really easy and it can be correctly installed in just a few minutes time. This also makes it easy to switch vehicles it's in or switch from rear facing to forward facing. The seat is a bit big and bulky, but in my opinion that just means it's safe. A lot of thought goes into the German Engineered, but US made car seats and I know that this is a seat my youngest will use for a very long time. Because my children are small, even my 7 year old could ride in this seat, BUT it's high up in the car, so her head would probably hit the ceiling in the car. She is 45.5" and 44 pounds. The seat also features comfort enhancing memory foam. Price: It's on Amazon for $249.99 (some a few less). Normal price is $299.99. A competitively priced seat. Love the color and the durability. It looks sturdy and yet comfortable. Thanks for the opportunity to win! I keep hearing about extended rear facing seats and thought they'd be really uncomfortable, but here it looks just fine! This seat looks awesome! I love that this makes it so easy to see if everything is buckled correctly and not twisted! Looks super sturdy and easy to use! Definitely looks like it's worth the investment and I LOVE the colors it comes in! The car seat looks very well made. I love the safety features. I've heard good things about this brand and would love to own one. Hope they fit well in a Prius! I really like the marine color. Looks like a good carseat. And your kids are cute, also :). Thanks for doing this review. I thin I am in love with this car seat. I also love how you showed your son rear facing and you did a fantastic job showing proper use of the car seat. I might be getting a new car seat soon! This looks like the most comfortable car seat ever! It seems to be quite large and full. It would be very comfortable for most sizes. I also like the options on color. I have a great grandbaby coming in a couple months. This would be nice. I love that it can adjust to lean backwards or sit more upright. I love that you can recline this car seat, that is so neat! My toddler would love it. 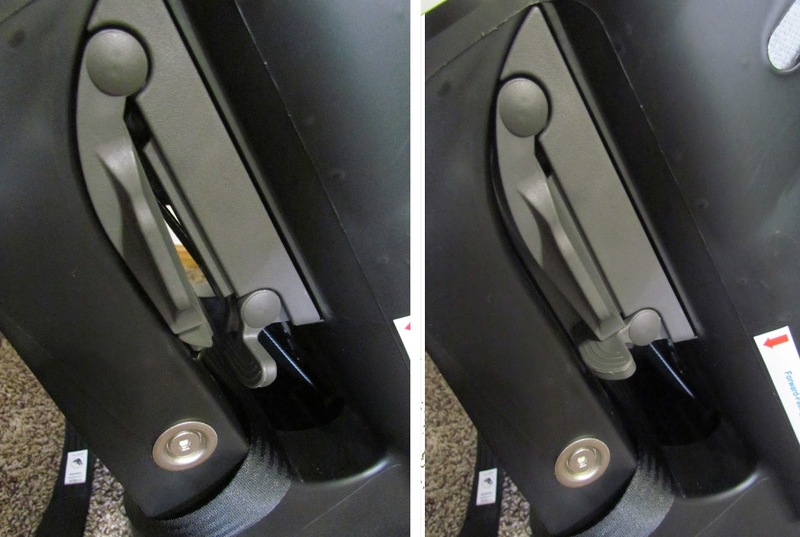 Car seats are so hard to mudle through to determine which works great for your vehicle, etc. Thans for sharing. Makes it easier for sure! i love how squishy, comfy and safe the car seat LOOKS. and knowing that its safe for a newborn baby ... literally ... is awesome! I will have to come to you for car seat advice when we are ready for kiddo's! That is a really good looking car seat and I love the safety features. It would be perfect my grandson. Love that it's easy to install and incline! Looks like a great seat! My baby is about to outgrow his infant seat. I think this would be a great Carseat for him! Thanks for the detailed photos, which really help show how the seat works. I hadn't heard of this brand before, but color me intrigued as we start looking for a carseat for my littlest! I really like the safety features on this seat.loving the side impact protection and padded head restraints also, it is a very nice looking car seat!! My daughter is gonna have a baby soon and would really like this!! I absolutely love everything about the Recaro Performance Ride. I love the safety for my child and the ease for me: EasyAdjust No Re-Thread Harness. I would love to win this! My 8 month old son is only 7 pounds away from outgrowing his carrier seat! Great review! We will be needing a new seat in a few months and this one looks and sounds great. My daughter is in need of a new car seat and this one sounds perfect! I love that it grows with the child. I like that it has a dial to adjust the straps. Nice and easy. The convertible car seat my son is currently in is too big for my car if I want to install it properly. Unfortunately I didn't realize that until we opened the box, installed it, and threw the box away. This means no returns. Although the seat is installed securely it is technically not installed properly...it should be reclined a little more. Car seats are too expensive to just keep buying though. Fingers crossed that we win because my little guy needs a seat that will be installed correctly in my car and be far enough back that we can still drive and use the passenger seat. Firstly, I HAVE to compliment you on your review. I love the depth and detail you went to. The pictures make it look fantastic, and your little ones are just too cute. Secondly, I'm so glad I found this post. I've got a little one due in Aug. and I've been looking for a convertible to bump my 1y/o to so I can have the infant car seat for the baby. He hasn't outgrown the infant seat, but I figured it'd be easier/cheaper to just upgrade him since it can't be too much longer before he outgrows it and his infant seat is only as old as he is so it's not expiring before I'll have a chance to upgrade again for new baby. i love all the pictures you provided, your little one is so cute! it always gives me a better understanding of the item when i see it actually being used and detailed pictures! I really like the high weight limit for rear facing use! Thanks for the review and giveaway! As much as my husband respects the Recaro company, I was happy to read a review of this seat. It seems to be an amazing seat, offering good looks as well as safety. I absolutely love the EasyAdjust No Re-Thread Harness system. I have a terrible time with this. I love that you can just turn a knob! I've always read great things about Recaro. Wonderful choices of color!! My DD is ready for a convertible seat that can last for so many years. This looks like a very reliable and easy to use car seat. My children no longer need car seats but I have several friends with babies on the way. The safety features are great and I love the way you displayed them in your pictures. Seeing makes it easier to understand versus just reading about it. This would be so fantastic for my sweet niece who will be transitioning from her infant seat soon. I love that the car seat can recline. I really love the pink and red ones the most! Pink for my daughter and red or blue for my son! This sounds like an amazing car seat! You're kiddos are adorable I. It. I love how you dont have to rethread. I remember having to do that with the infant seat and boy was that a pain! Even with strollers it can be cumbersome! The bulkiness would be bit of a problem in our compact car but im sure we could get over that since Im short and I would rather have my seat up to fit the seat and have a safer ride for our son than a smaller not as safe seat. I also love the venting...our son gets hot/sweaty very easily/fast and I always feel bad for him since there really isnt anything we can do but turn up the a/c. It does seem to fit the smaller children better than the Britax. 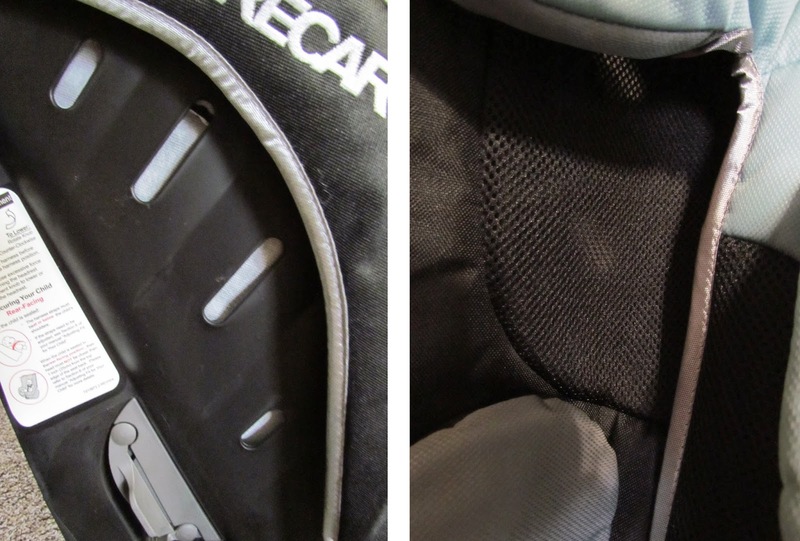 When we moved our son to the Britax he was 18lbs and we had to take the shoulder strap covers off. I have no idea how anyone can fit a 5lb baby in their seats like they say you can. All in all it looks like a really cool and safe seat! Love that you don't have to re thread the harness. My husband needs this in his car for our son! I like the hero pads... We always have twisting! I need a new convertible for baby number 3 coming soon. I've heard great things about these seats! Thank you for such a thorough review. We are expecing our first and definitely have been looking at reviews of carseats! LOVE the Recaro. Such a great review, which I love reading as a first time expectant mommy (due in October). I love the color you received and the pictures you took to go along with the thorough discussion of this product. Thank you again for information that is quite pertinent to my current research on baby products. Love that Seafoam color and how snug the baby looks in it. 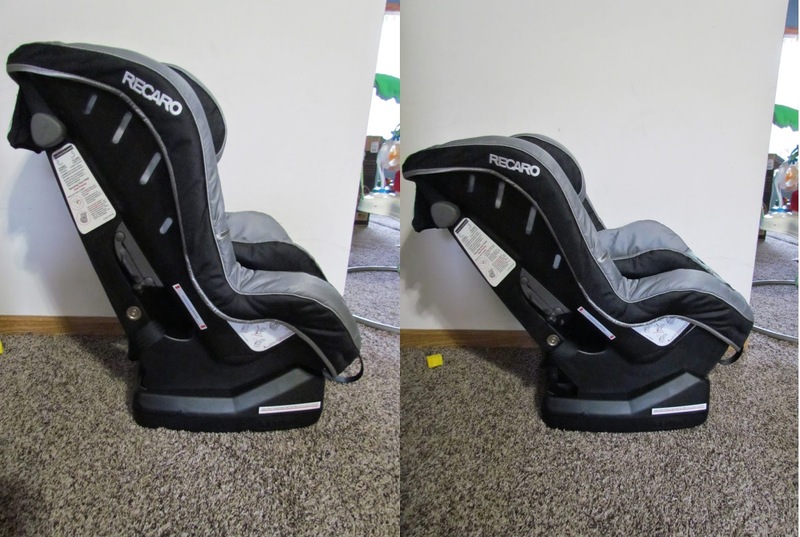 I have read all about Recaro and have decided that my next car seat purchase will be theirs! Love the color of the seat you received in Marine and love that the seat easily latches in! I have been pining for this seat for a while now. I love all the safety features, but I also love the breathable material that the cover is made of. It is very, very hot where I live, and my daughter always seems to be sweaty after she rides in the car. I also really like that marine color. I love that color! And thanks for such an informative review! This carseat looks awesome. I have the Graco My Ride 65 for my daughter who is 5 and a little over 40 lbs, to keep her harnessed and it's pretty bulky too. This one looks a bit more secure. Thanks so much for the great review. I love that it is rear facing until 40lbs which means we could rear face until after 2yrs :) amazing!!! This seat comes in some really nice colors. I like that it has vents on the side to help with heat distribution. That has been an issue for us. In the market for a new car seat for my son. This would be great. Ooooh it looks amazing! I actually love that color, I'd use it for a boy or girl. And I love how safe it looks! I have my almost 3 year old still rear facing, this would be a perfect fit for her now and whenever we do forward face her! I love the rear facing weight limit of 40lbs and forward facing of 65lbs. It means I can get a lot of use out of this seat! dat rear facing weight limit! I like that this car seat has plenty of room for the child's bottom. I also like that it can hold a child who weighs up to 65lbs. Love the color of this seat and I love the great safety features of Recaros seats. I have heard great things about this seat and it was in the running when we ultimately decided on another seat. We ended up not liking that seat very much and would love to replace it with a Recaro. I love the blue you chose. 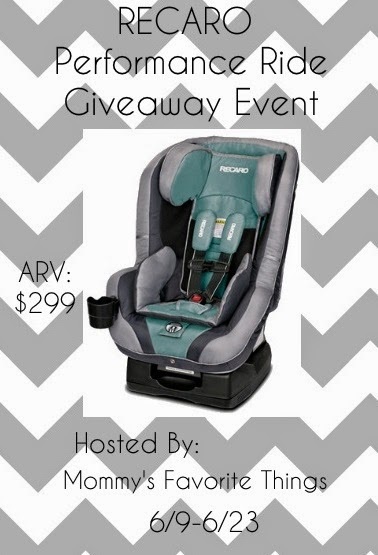 I love how this car seat goes from 5 to 65 lb thanks for the chance to win ! Love how easy it is to install!!! I also love how safe it is!!! Great car seat!! One loves it one hates it! looks like it fits your older boy better. love the color though. I love this company. I know my baby is safe in this carseat! Love the style. I have heard good things about this brand, would love the chance to try it! Thanks for writing such a detailed review! The Recaro seats look super safe! I love so many of the features of this seat. My favorites would be the padded head restraint, venting, built in belt lock off, and the stripes on the straps so you know if they are twisted. Also, this color is beautiful! We would love to have this seat and are actually in the market for one. 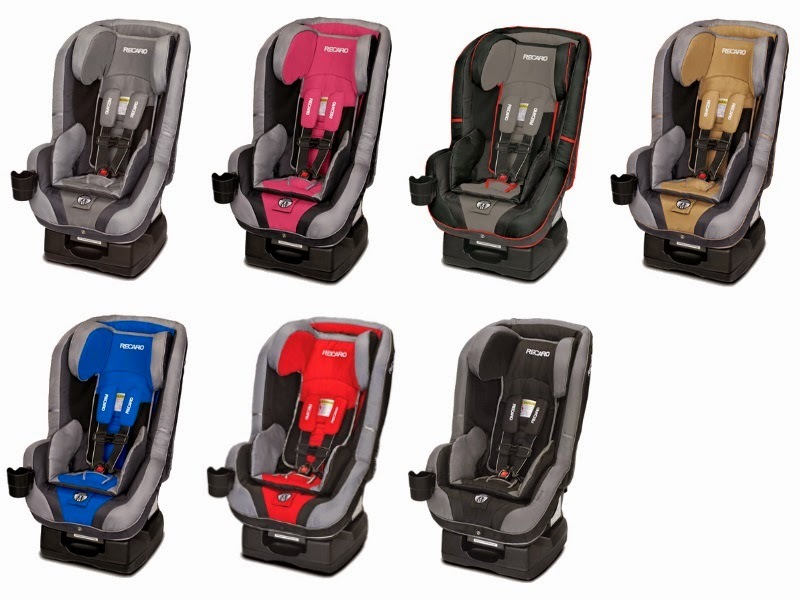 I love the color and the added head protection that the Recaro Car seat offers. I also love that it can be used from 5 - 65lbs so there is no need to purchase multiple car seats. I am fixing to be a new grandmother and I sure would love to have this seat. I love the style of this car seat, and it looks super comfortable. 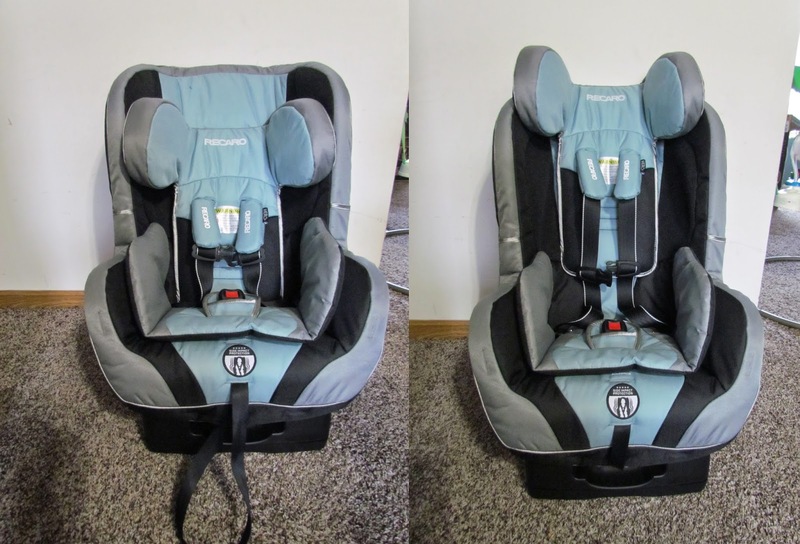 I love all the features of this carseat but I really like the The 5 pt harness. I also like the design of this car seat. The features are great. This looks comfortable. It seems like a super carseat and I like that it grows with the child. this looks amazing. I love that this has memory foam and mesh to keep kids cool. this has so many great features. I also love the side impact protection on these. i would love to try this!!! it looks like a great comfy carseat. I love this seat! It looks very comfy, and I love all of the safety features! I also really like that it can be used rear facing as well as forward facing. My daughter's car seat is getting very worn and old looking. She is 5 but on the very tiny side (only 29lbs!) So she has had her car seat for awhile. I don't like it, and would love to win this for her! I have to say this sounds like an awesome car seat. I love that it has a handle to recline the seat! I also like that it has vents on the seat cover for the little ones too. Great review! I would love to have this for my some. I love there convertible car seats. I like that this one has the padded head restraint. This is a definite must when shopping for a car seat. Love the color options and rear facing ability!